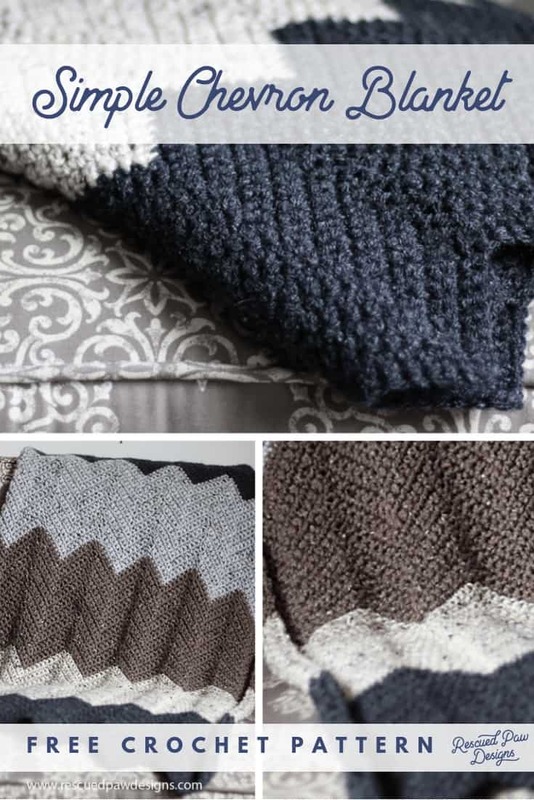 Crochet an easy chevron blanket with the simple blanket pattern below! 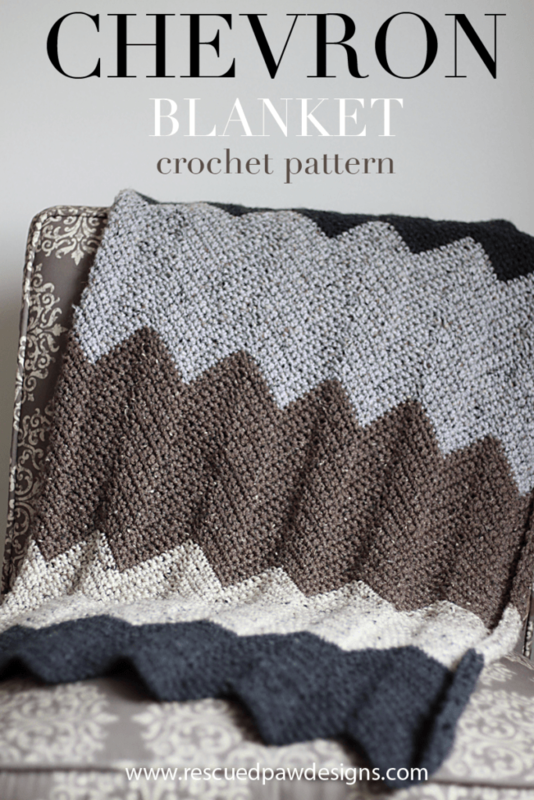 Are you looking for a simple chevron crochet blanket pattern? If so, then this is the perfect throw blanket for your home since its easy to work up and has a neutral color palette that works for most spaces! 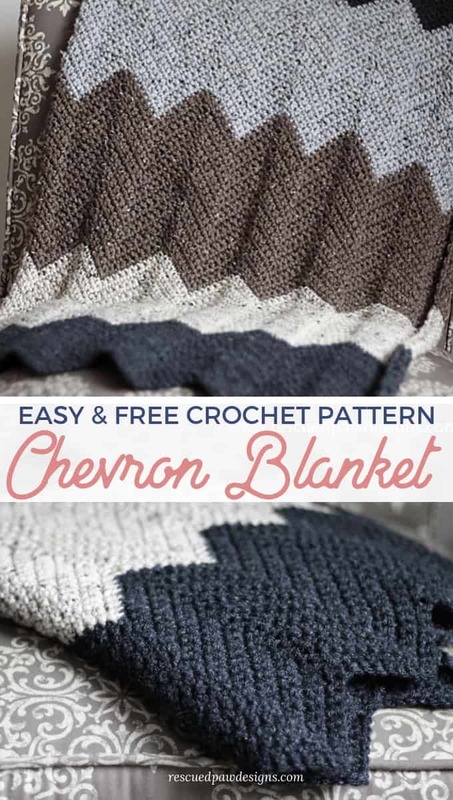 Learn how to crochet this chevron blanket today with my free pattern! 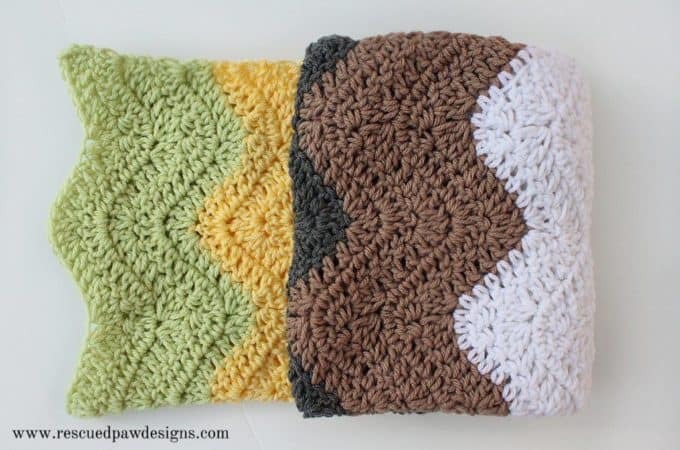 Make This Chevron Stitch Pattern in Different sizes! This chevron afghan is available to make in all sizes (directions are below on how to do this!) and uses a single crochet chevron technique. 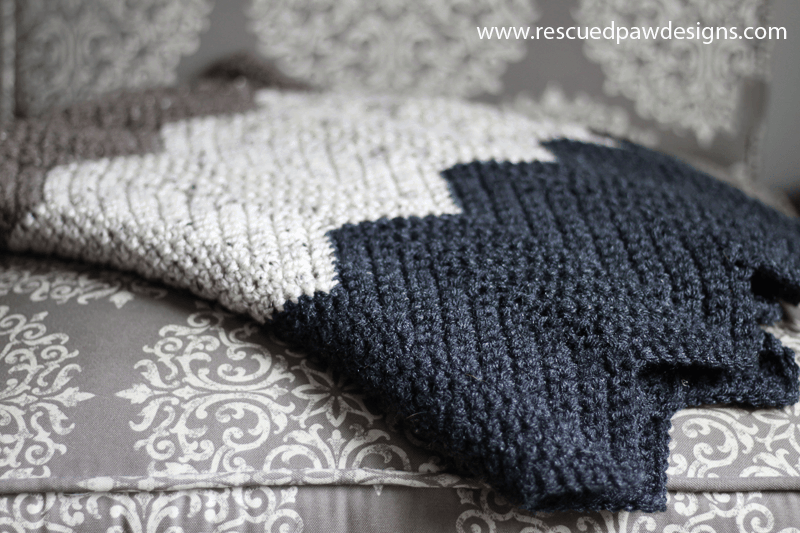 Read on down to learn how to crochet a chevron throw today with my free pattern! Natural Colors & Perfect for all decors! I’m so happy to be able to finally share my new design for this simple Chevron Crochet Blanket Pattern that I have been working on for a while now! I designed this blanket to be the perfect throw for any room because of the neutral and natural looking colors! It would really go great in most any room! If you like this blanket design you probably will also like some of my other chevron designs too! 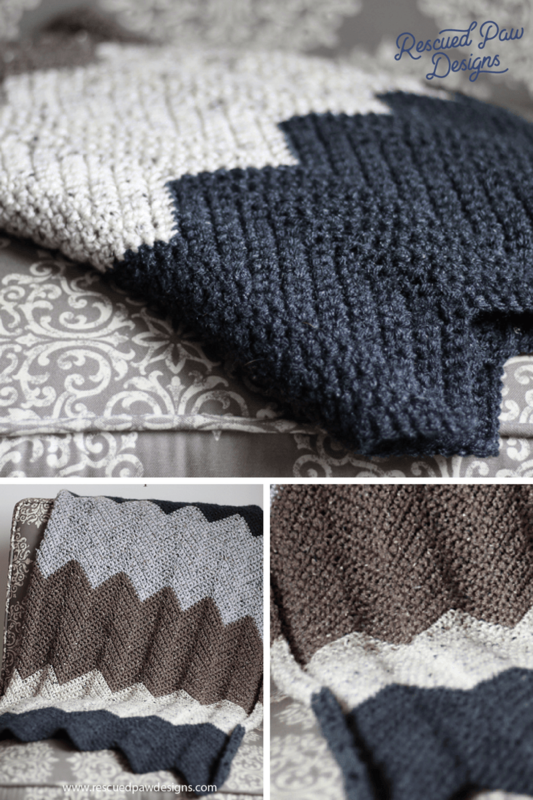 The Wonders Throw Chevron Blanket & The Chunky Chevron Throw are probably my two favorites! (besides this one of course!) Be sure to check the out and let me know what you think! 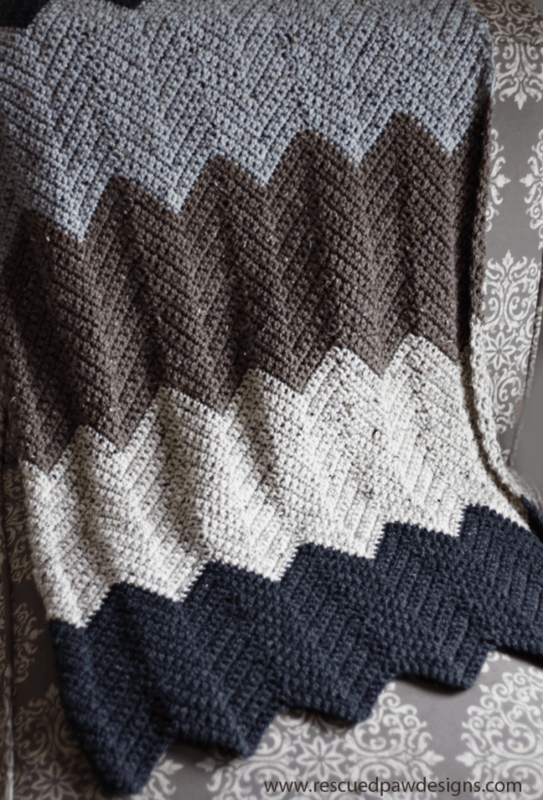 Yarn that’s perfect for this Chevron Blanket Pattern! To make my blanket I used my favorite yarn Vannas Choice by Lion Brand because of the great selection of colors and how well it holds up in the washing machine! With three kids it is a must for all things around the house to last! Right? 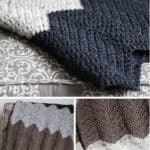 If you like this the style of this chevron ripple blanket you may like my other crochet blanket the “Neutral Striped Blanket“ that I designed in March. I guess I have a thing for neutrals! 🙂 This particular blanket would be considered intermediate, but once you get the flow of the stitch pattern you will have this beauty done in no time! 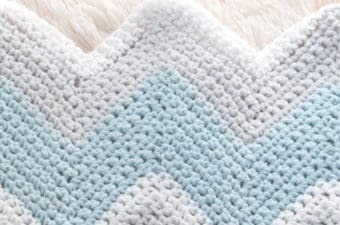 If you are ready to tackle this chevron crochet blanket, go grab your crochet hook and get ready! 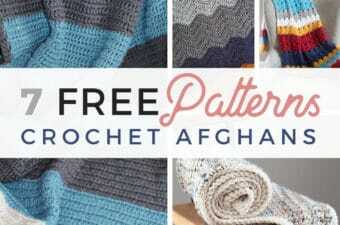 Just keep on scrolling down for the full, FREE Chevron Crochet Blanket Pattern & photo tutorial! To make the lap size version you will need. 5 skeins of Lion Brand Yarn, Vanna’s Choice Yarn. I used (2) dark grey heather, oatmeal, grey marble and barley. If you would like to make this blanket smaller or larger start with a beginning chain that is a multiple of 17. For example: 17, 34, 51, 68, 85, 102, 119, 136, 153, 170, 187, 204, 221, 238, 255, 272, 289, 306, 323, and 340 and then add on an additional 16 chains to which ever length you have chosen. FOUNDATION ROW: with your first color of your choice ch 101 or whatever length you have chosen. I started with dark grey heather. ROW 3 – 19: repeat row 2. ROW 41-59: repeat row 2. ROW 60: change colors (I used grey marble), repeat row 2. ROW 61-79: repeat row 2. ROW 80: change colors (I used dark grey heather), repeat row 2. ROW 81-99: repeat Row 2 for the rest of the blanket. Fasten off yarn and weave in loose ends throughout the blanket with a yarn needle. You may need to block your blanket to get it to lay flat. I suggest wet blocking with this yarn because it is acrylic. Wet Blocking: Wash or submerge your item completely in water. Roll out and towel dry. Pin down to a blocking board or lay flat on a towel. Let the item air day. Steam Blocking: Lay the item down on a flat surface. Cover your item with a wet towel. Using an iron or steamer slowly press against the wet washcloth to create steam. Shape your item as your go. Let dry. This method is recommend for natural yarn products versus acrylic yarn. Spray Blocking: Lay item flat on a towel or blocking board. Spray with a water bottle while shaping as you go. You may pin to a blocking board if you’d like. Let dry. That’s it! The Chevron Crochet Blanket is now complete! If you liked this pattern follow along with me on Facebook, Instagram or Pinterest (where I pin daily!). If you prefer video tutorials you can also find me over on YouTube! If you love simple patterns like the one above then you will love the Modern Ripple which is an easy chevron crochet baby blanket! You may even want to crochet the blanket above into a crochet chevron baby blanket using a smaller starting chain! The possibilities are endless! 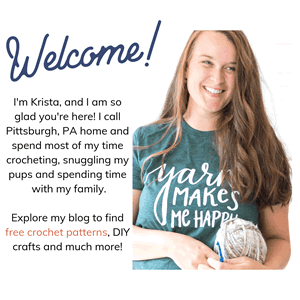 I am trying to do the Single crochet chevron blanket I printed off you site. Now on my pattern you state to do in multiples of 17 to start then chain an additional 15 to whatever starting chain you picked to start your blanket . Is this correct? I found a site on the internet showing how to figure the multiples. 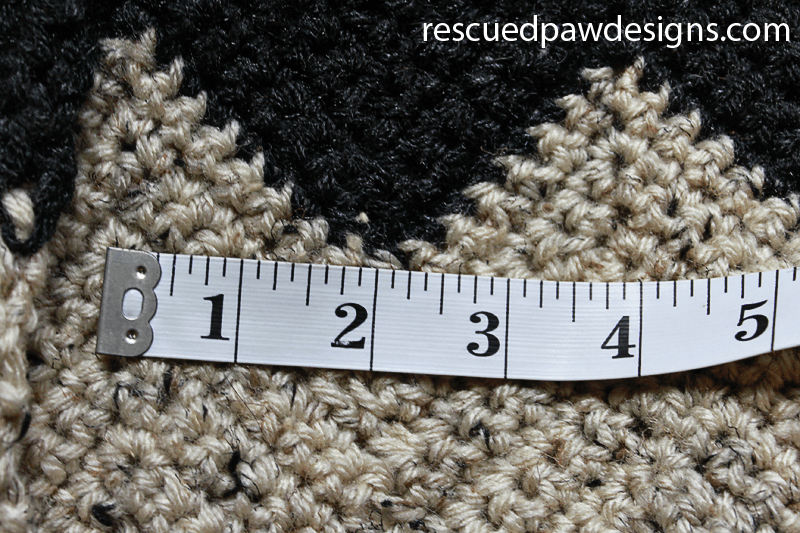 With following their instructions I crocheted 17 chains and measured them and they measured 4 inches.. I want my afghan to be 64 inches wide . I divided 64 divided by 4 which equaled 16 then I multiplied 16×17 which gave me 272 stitches then I added the additional 15 to the 272 and got 287 stitches is this the correct way to do the multiples? I have been working on it and only get two rows done as when I get to the end of the second row the end does not come out like it said in the direction it said to repeat the pattern across until you read the last 7 stitches then it is 2sc in the next 5 stitches. sc2tog in the last 2 stitches. I have done everything over several times. When I do my chain I do 10 chains and then I stop and write down the number each time I do the 10 chains so I will know for sure I have the 287 chains. I am doing the pattern you have doing the crocheting in the back loop which I really like. I want to do 3 different colors I don’t know how many skeins per each color I will need for sure. Thank you I hope you will be able to help me if at all possible. I hope to hear back from you. Thanks again. When I work row 2 as written, my sc 3 in 1 does not line up on the middle of 3sc from the previous row which then throws off the whole row. I have frogged and re-worked 3 times. I am very sure that I am counting correctly. In order for it to line up, you must sc in the first 7, 3sc in 1, sc in the next 7, skip 2, and so on and so forth ending with sc5 and then sc2tog. To start the second row, you will need to sc the first two stitches together (sc2tog) then work 1 sc in the next 5 st’s, then your 3 sc’s in one stitch (for the hump). Hi Krista- I know you mention a video was taken down because of a mistake, but it has been awhile and no new video. Can you put the old video back up with the mistake so there is something visual? Are their pictures of the steps somewhere? The link to the PDF says the item does not exist on Etsy. Am I missing something? This is lovely! In the picture, the blanket looks like it is dimensional, if that makes sense. Is that the case with this pattern? Thank you! No it’s not dimensional but it does look like it a bit. do I put the crochet needle in the top of each stitch picking up the 2 loops or do I just put needle in the front stitch? Hi there! So my afghan is not looking right… any idea what I’ve done wrong? Where can i post a pic for you? Hi. 101 is the correct starting chain length. It should end with 7 stitches. In those last 7 stiches you single crochet in 5 of them and then sc the last 2 together. You say you chained 101 stitches for your throw size but to enlarge, do it in multiples of 17 stitches. In your end of pattern NOTES you give instructions for smaller or larger and say to start with a beginning chain that is a multiple of 17 – For example…..68,85,102, 119…..what happened to the 101 chains? I was going to enlarge from 101 adding multiples of 17. Should I start with 101 or 102? Thanks for your help! You also have to add an additional 16 chains to whatever multiple of 17 you have chosen. 🙂 So you would start with 101. Happy Crocheting! Question: I am doing this pattern in Dbl crochet stitch instead of single. How many rows should I crochet before changing colors? Should I do 19? Or half it to 8? Also, I have a large space were the points are- any suggestions on how to fill or pull that together? I would probably half it if you wanted to stick with about the same width of color blocks. This pattern leaves those holes unfortunately. I’m about 1/4 way through a large blanket. I’m counting right but every now and again it doesn’t seem to add up properly. As in, the point I get to when I should do 3 in 1 stitch is too far past the peak, and the bit where I need to skip 2 is a little too late also. Is there any way I can correct this and keep the shape for future rows? This is probably because of a skipped stitch somewhere since it is so easy to do with projects like these. Is this just in the row you are currently working on? If so I would pull out the row that is wrong and recount the row before to see if a stitch was missed or added. I would also suggest using stitch markers to keep track of stitches by placing them every 10-20 stitches just so it is easy to go back and count stitches if needed. Hi, I’m trying to make a baby blanket. I’m very new to this. I love this pattern it’s easy to read for me being a beginner. I was wonder about how long and wide I should make it? The size as written should work great! 🙂 Happy Crocheting! I think maybe this bit of instruction is missing a comma or word indicating that you should sc2tog in the first two stitches, and then SC in the next 5 stitches: “ROW 2: ch 1, starting in the 1 st sc2tog, do 1 sc in each of next 5 st,…”. 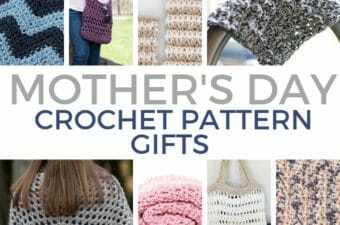 I’m not a beginner crocheter but even I was thrown off for a bit until I read it again! The way it reads is almost that you should start the 5 Sc in the 1st stitch. Lovely pattern!